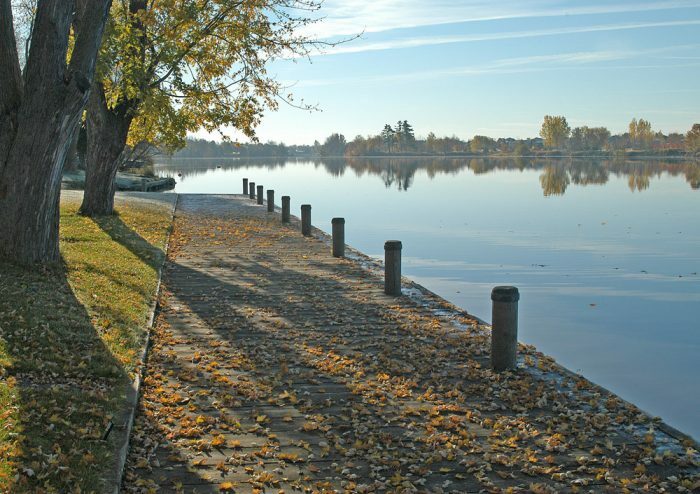 The Rideau River Eastern Pathway is another pleasant, paved pathway, following the Rideau River 7.3 miles from Rideau Falls to the confluence with the Rideau Canal at Hogs Back Falls. There are water views and parks along the way, as well as numerous bridge and pedestrian crossings. 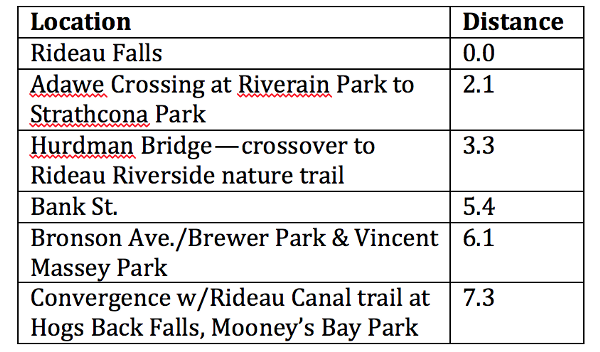 One nice option, at the 3.3 mile mark, is to take the Hurdman Bridge crossing to the western side of the river, and a 1-mile Rideau River Nature trail. 7.3 miles one-way, flat and mostly paved.